Plot Summary: England: 1648 AD. A small group of deserters flee from a raging battle through an overgrown field. They are captured by two men: O'Neil and Cutler. 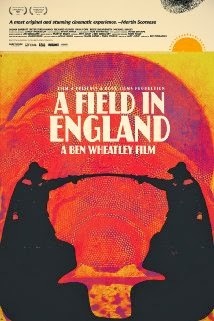 O'Neil (Michael Smiley), an alchemist, forces the group to aid him in his search to find a hidden treasure that he believes is buried in the field. Crossing a vast mushroom circle, which provides their first meal, the group quickly descend into a chaos of arguments, fighting and paranoia, and, as it becomes clear that the treasure might be something other than gold, they slowly become victim to the terrifying energies trapped inside the field.